Reminder: Double Your Lenses Sale ends December 22, 2017! Looking to use up your Flex Spending dollars before 2018 or do some last-minute holiday shopping? 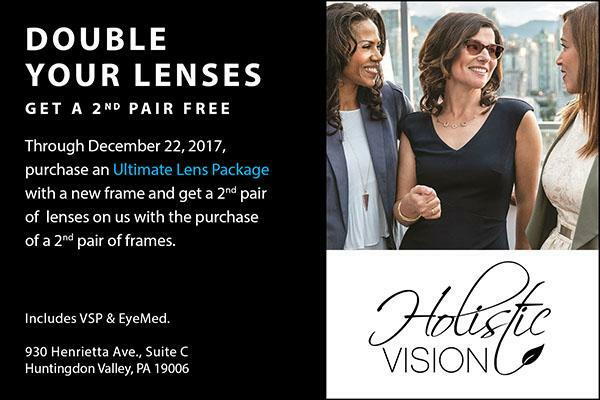 This week is the last chance to take advantage of Holistic Vision's Double Your Lenses Sale: NOW through Friday, December 22, 2017. Reminder: Holistic Vision will be open for appointments Wednesday, December 20, 10am - 4pm. We will be closed December 25 - January 1. We will reopen January 2, 2018.